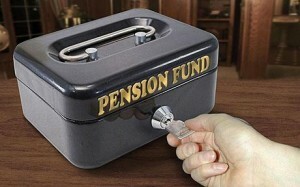 Pension scheme for overseas Indian workers to be implemented this year! Union Minister for Overseas Indian Affairs, Vayalar Ravi has confirmed that the long awaited pension scheme for overseas Indian workers would be implemented this year. He said all employees who were working abroad and seeking emigration clearance would become members of the scheme which was earlier announced by PM Manmohan Singh. As per the contributory pension scheme, the benefici ary has to remit a fixed amount and an equal amount to be contributed by the Centre. For women the government’s share of remittance to the scheme would be double the amount paid by the beneficiary. In addition, sufficient steps are being taken by the GOI to give voting rights to the NRIs at the embassies.